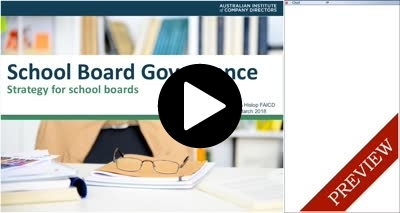 This session explores how to develop and oversee successful strategy implementation and the characteristics of a strategic school board. The webinar provides contemporary tools and frameworks for strategic thinking and scenario planning for the long term future of your school. The series and each session has been NESA approved. Please see the NESA website for further details. Register for three or more webinars of your choice in one transaction, and you can take advantage of our bundle and save promotion. Receive 10% discount for three webinars or register for five or more and receive a 15% discount.